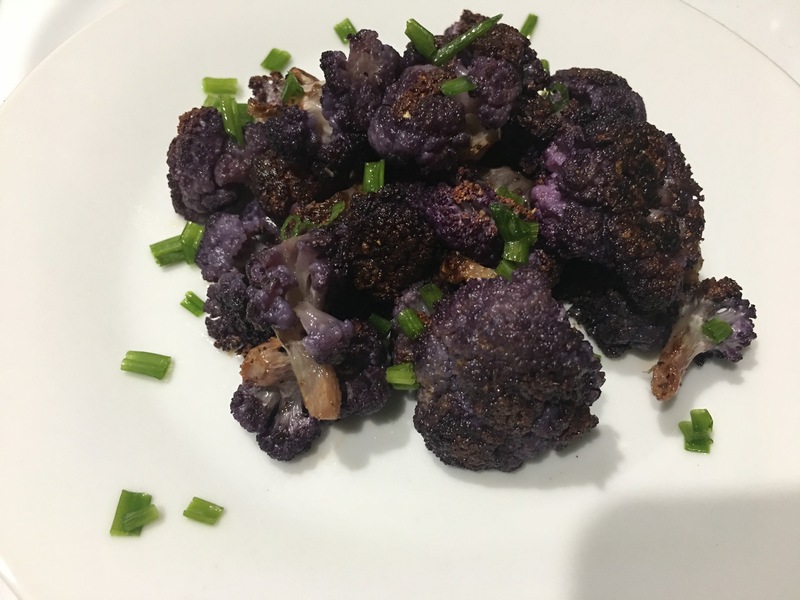 Purple cauliflower – Hurried Home Chef! Who has tried this? It tastes the same but it’s so cool looking. Every now and then I see it around. 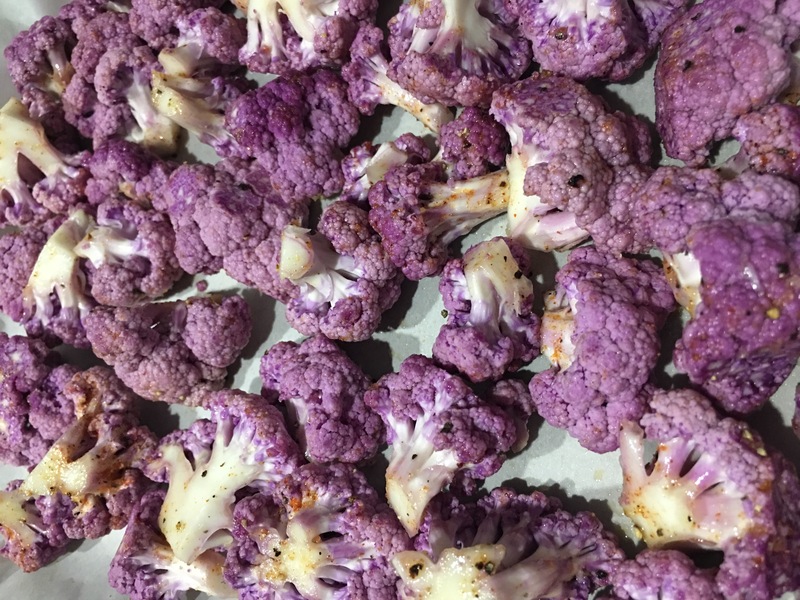 I just spread it on a baking sheet, hit it with some EVOO, salt, pepper, and ground habanero and bake at 400 for about 30 minutes. 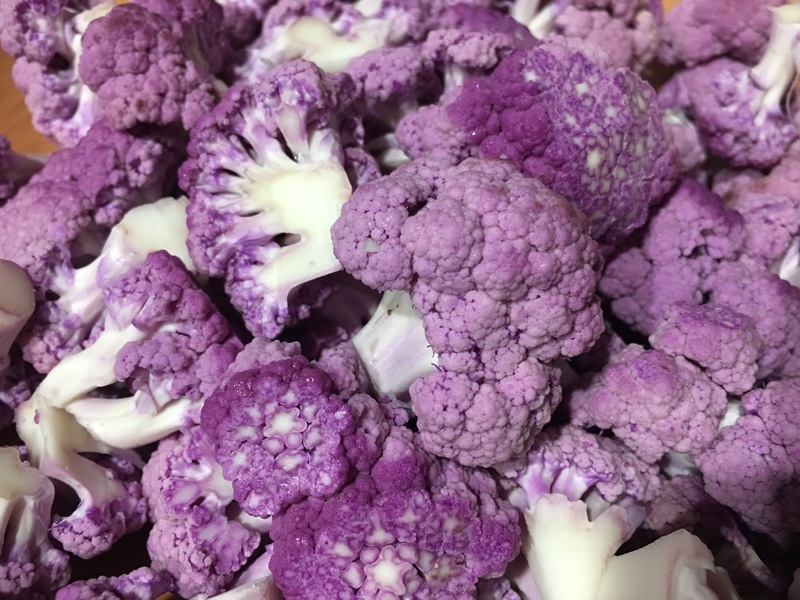 You can also steam and mash them or put in food processor for purple mashed ‘potatoes’ that would be a cool substitution. Here I served it like this with a steak and mushrooms. Give it a try. YUM! Next Post Chicken breast with lemon cream sauce over pasta with mushrooms and asparagus.